Conceived and master-planned by Continuum, the Art House project in the Denver Union Station neighborhood includes 13 contemporary, upscale townhomes designed by Studio Completiva, the Museum of Contemporary Art and a 65-unit affordable housing project. In 2003, Continuum’s CEO, Mark Falcone and his wife, Ellen Bruss, members of MCA Denver’s Board of Trustees, donated land in Denver’s Central Platte Valley to help the organization realize its goal of building a permanent home for contemporary art in Denver. As part of the land acquisition, Continuum also took on the responsibility of providing both high-end and affordable housing for the new Riverfront Park neighborhood with 13 Art House townhomes and the Monarch Mills apartments. Continuum brought in Urban Ventures, LLC to bring the Monarch Mills apartments to life. 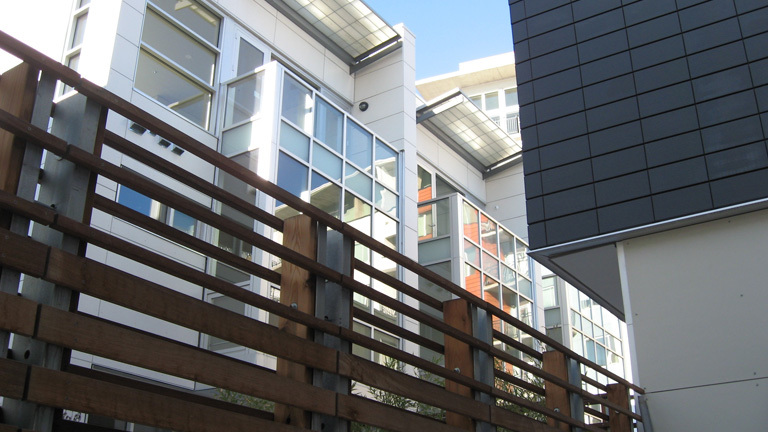 Studio Completiva designed 12 of the Art House townhomes. The residences have glass walls for lots of light, sizeable backyards and rooftop gardens or balconies. David Adjaye, of London-based Adjaye Associates, was chosen to design the 13th residence that is closest to the museum. The 6,000-square-foot steel townhouse and the 26,000-square-foot cube-shaped museum were the Ghana-born architect’s first public commission in the United States. The two buildings are aesthetically linked by the exterior paneling—the glass of the museum echoed by the steel of the house. On the same site is the 69-unit Monarch Mills apartment building, which includes primarily affordable housing units. The name refers to a flourmill that stood on the land but was destroyed by fire in 1993. The location, close to the Cherry Creek and Platte Rivers, was chosen for its outdoor access and easy walking distance to the restaurants, pubs, museums and culture in Denver Union Station, Riverfront Park, Lower Highlands (LoHi), Lower Downtown Denver (LoDo) and Downtown Denver.